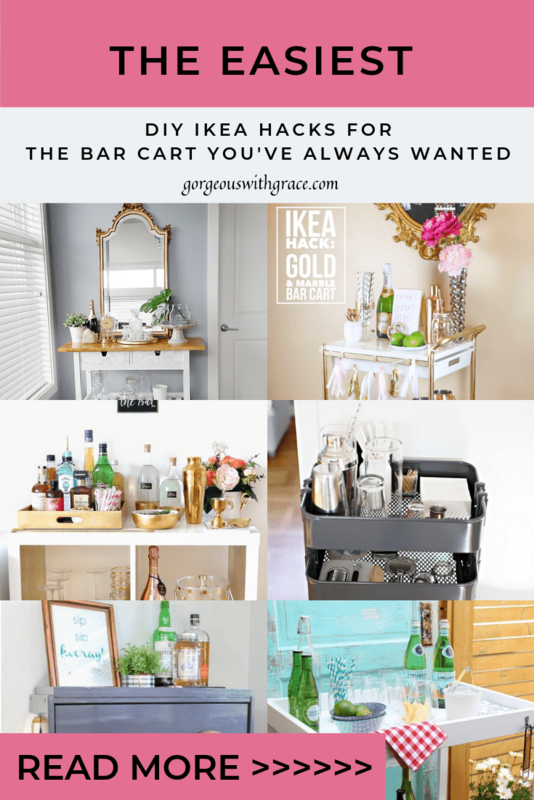 I can’t believe I never thought about these Ikea Hacks to make a bar cart. 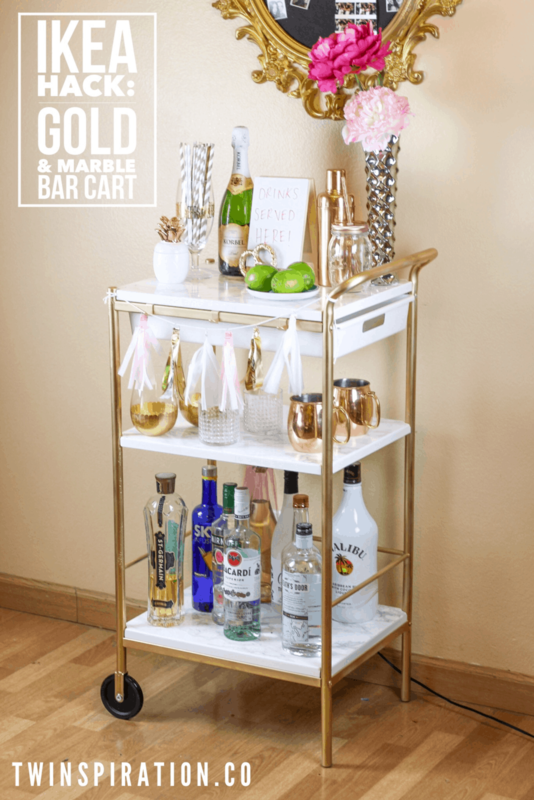 Having a bar cart in your home will make you feel instantly sophisticated! It’s a very “grown up” thing to have one. 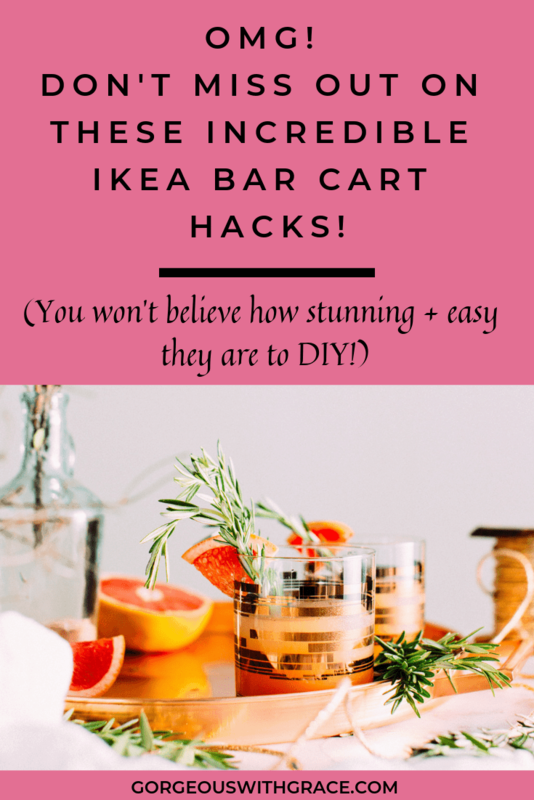 And they are really easy to DIY using these fabulous hacks of Ikea products. I’m also a firm believer that elegance doesn’t always have to cost a fortune. 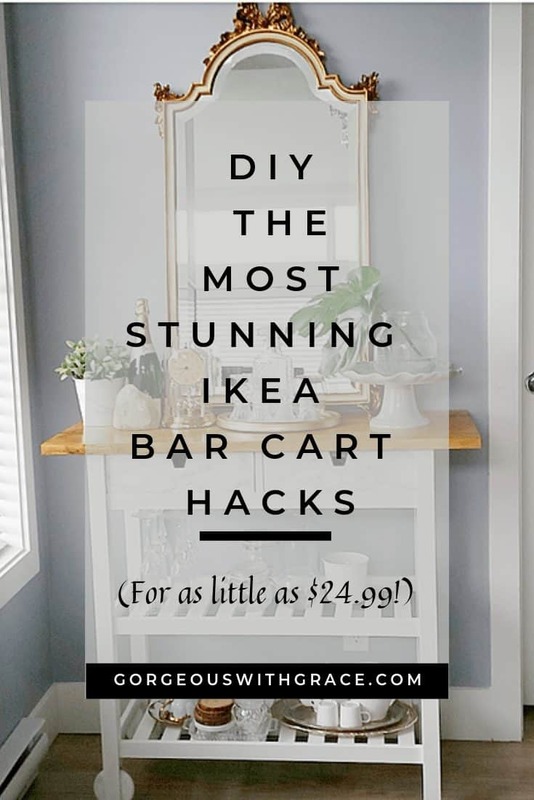 What better than a little trip out to Ikea and a few hours later (and maybe a little bit of gold spray paint) and you have something really sophisticated and home worthy. The usual, spirits and champagne. 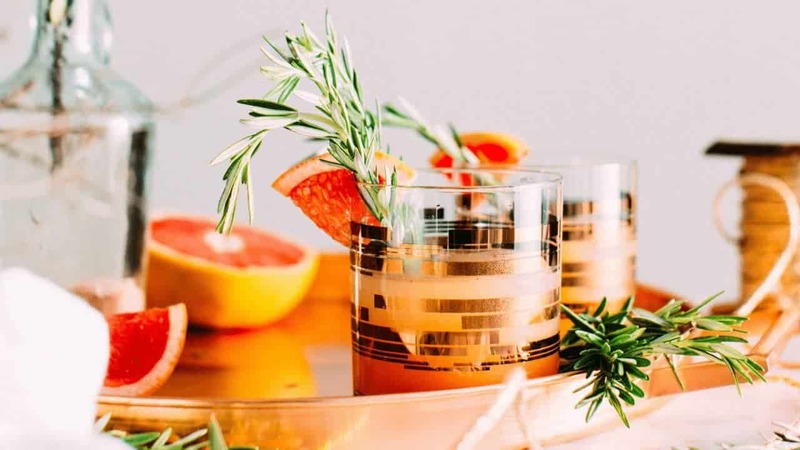 5 Amazingly Easy Cocktail Recipes will make your life elegant (and oh so simple, but shh, don’t tell anyone). 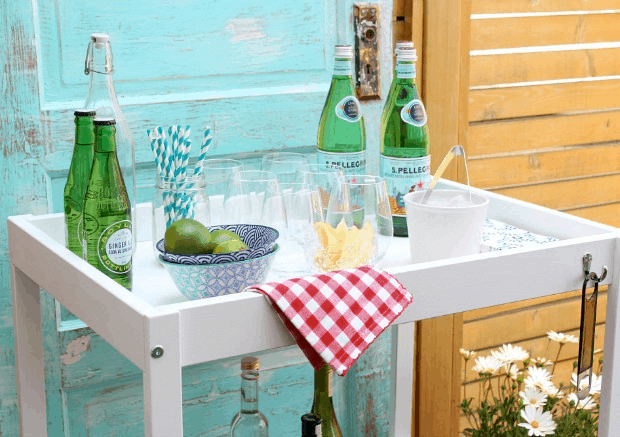 You also don’t have to drink alcohol, there are beautiful bottles of water and other non-alcoholic products to stock your cart. Don’t forget really pretty glasses too. Any maybe a cute little sign. And there are lots and lots of desirable ones out there but look what I found for you. 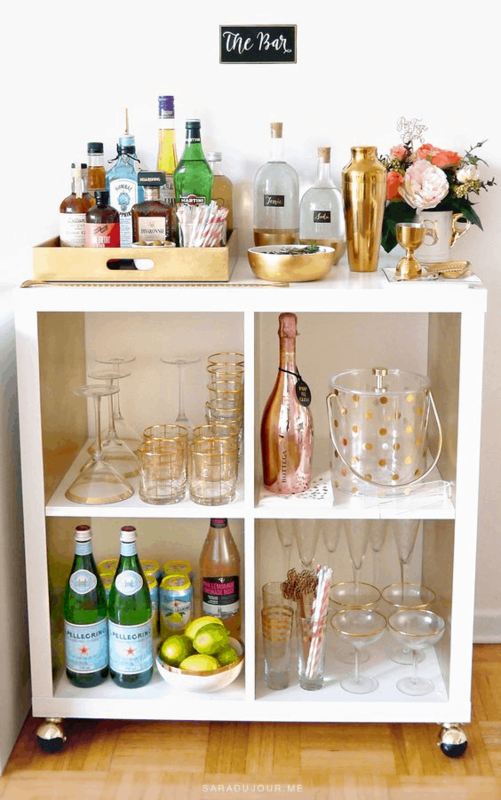 These are beautiful hacks and really easy and simple to do. 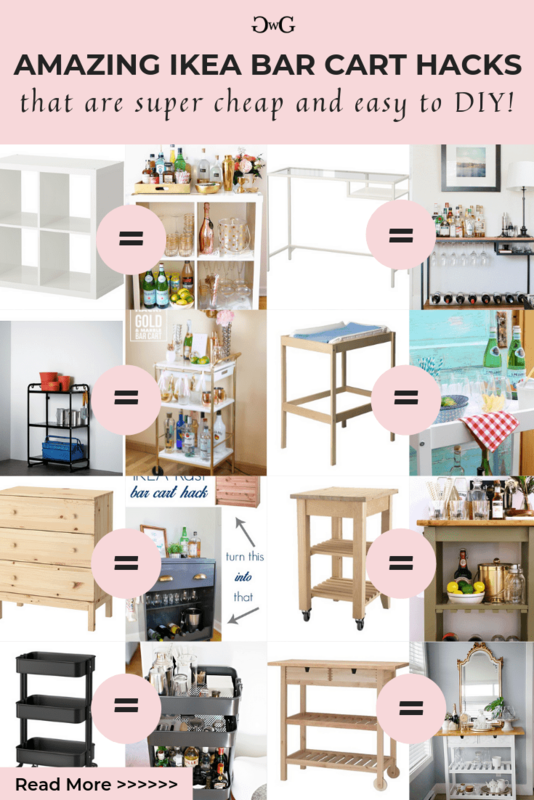 So before you go out and buy an expensive Bar Cart, have a look at one of these projects, the Ikea products range from $24.99 to $109.00 so something for every budget. Oh my, can you even believe it’s the same thing??!! Isn’t it amazing what some gold spray paint, and some marble paper can do? This is so super cute, you have to see it from the side, she’s stuck gold circles on the sides. Unfortunately, the Rast appears to be discontinued, what a pity, there is like a billion “rast hacks” out there but the Tarva is definitely an adequate replacement, just a little more pricey. 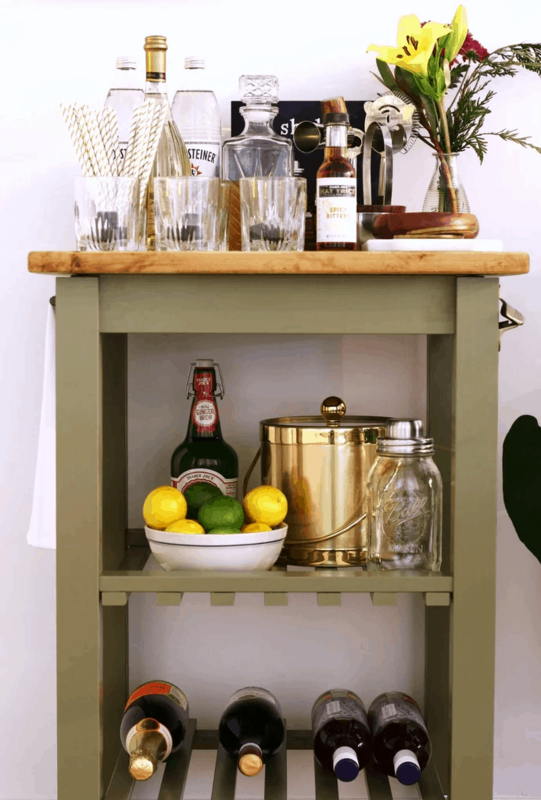 This incredibly awesome hack is made from a baby’s changing table. It’s remarkale what a lick of paint can do. So clever for outdoors. Look at the color of this beauty. All it requires is a little bit of paint, there really isn’t too much to it at all and you end up with this stunner. Note the cute bottle opener attached to the side. This is so pretty with the mirror propped up on top. 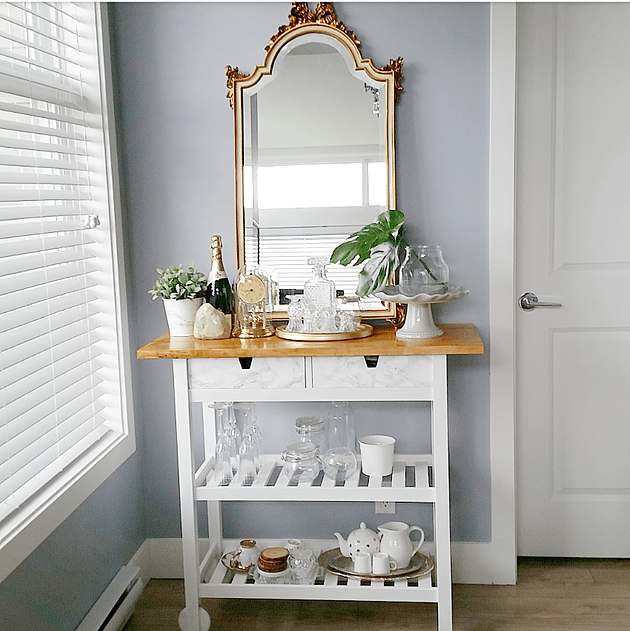 Everything else is beautifully simple and the mirror just makes such a statement. 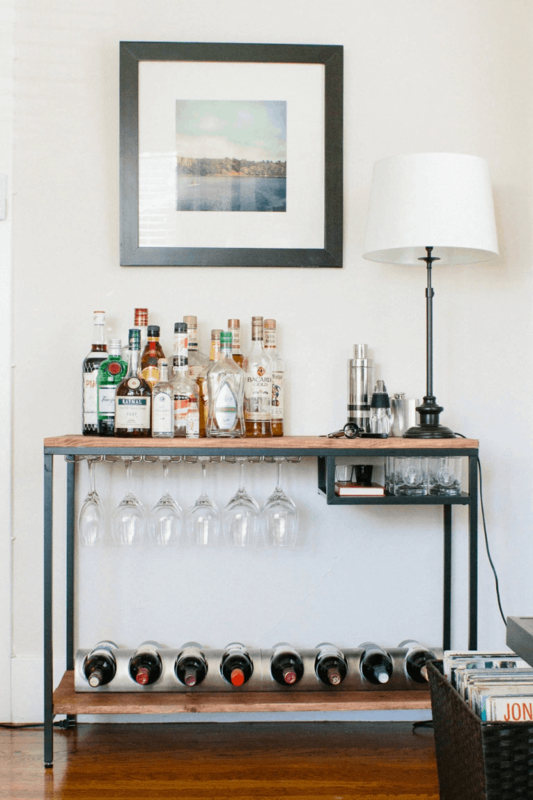 This is a perfect and quick solution to create an instant bar cart. The Raskog comes in various colors but I love this gray. 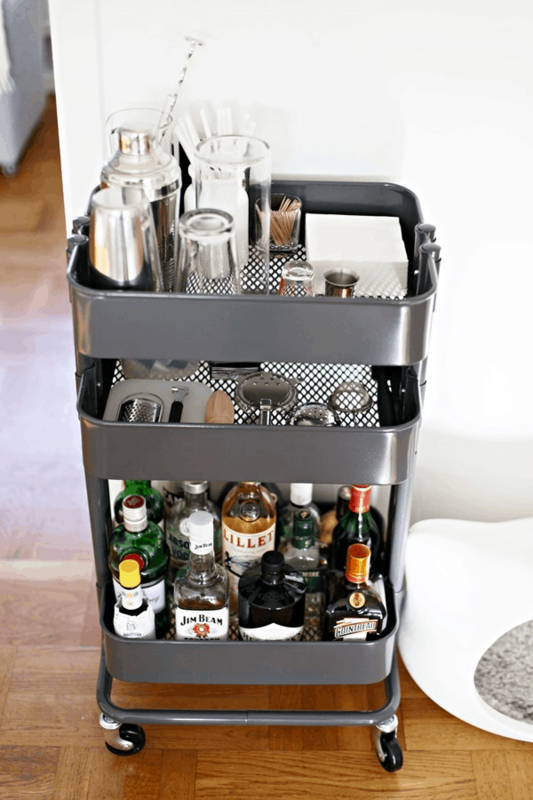 If you have a little more space, this is a great solution. Aren’t these just so much fun??!!! 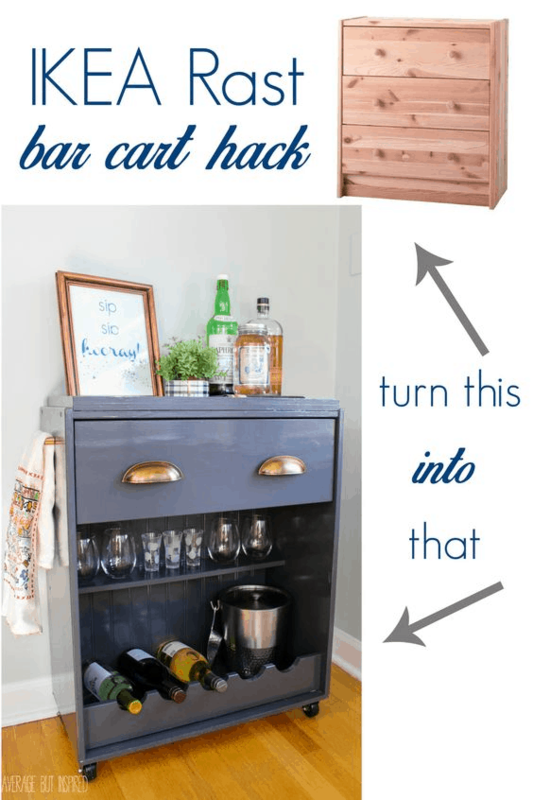 Are so super easy and cheap to do, WOW! Let me know which one is your favorite.